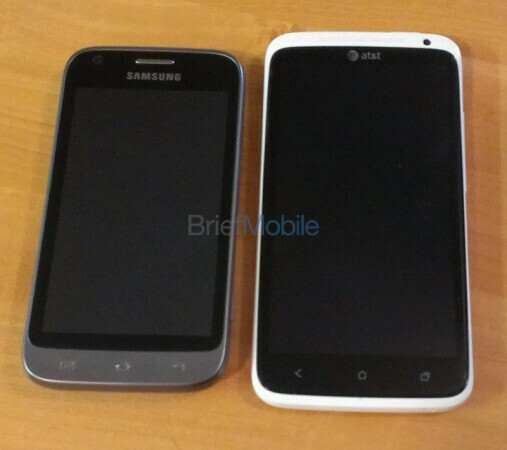 Back in May, we told you about a device coming from Samsung with the model number of SPH-L300. At almost half an inch, the handset is a bit thicker than the most recent releases. The last information we had on the specs were sketchy, to say the least. Now, a source for Brief Mobile has filled in the blanks giving us a more complete picture of the handset which will allegedly be known as the Samsung Gogh, like the artist. The SPH-L300 had recently had a chat with the FCC, so that is taken care of. And in the course of that visit, it was revealed that the phone was carrying Sprint's frequencies. This was confirmed by the source for Brief Mobile who says that the model is going to land on Sprint. 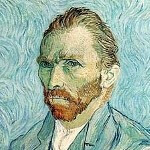 The Samsung (Van) Gogh is expected to be equipped with a 4 inch Super AMOLED screen with WVGA resolution. What's under the hood? It's a dual-core 1.2GHz Qualcomm S4 processor with 1GB of RAM. 4GB of internal storage is on board while a 5MP camera does its thing on back of the unit. Android 4.0.4 is installed out of the box and Google Wallet is pre-installed. We can't forget the dedicated camera button, LTE connectivity and support for NFC. When it comes to looks, the SPH-L300 is a departure from Samsung's typical plastic device. The Samsung Gogh appears to have a metal looking bottom with navigational keys that look to be etched onto the metal. The overall effect is a two-tone brushed metal look. There is no word on pricing or possible launch date, although we think it shouldn't be too long for this mid-range model to be released via Sprint. Dedicated camera button for the win... Sprint for the lose... or loss... take your pick. I was with Sprint for almost 7 years, the $10 for premium data for my smartphones when I had to use an Airave at home and at work, was totally unacceptable.. I went to work, came home, and most other places I went/passed had WiFi... Why the HELL would I pay an extra $10 for "premium data" when I cant get BASIC data at Home/Work and use WiFi 90% of the time? Oh, and not even a "4G" (WiMax) device/phone! (and on 3 lines as well...) EDIT: because someone would point it out, I moved like 3 months before the first Airave came out, I got one for free, paid for the second, its why I stayed with Sprint instead of switching carriers, well that and the phones/plans Sprint had, needless to say, they wouldnt comp me for the $30 it was going to cost even after 6 years, so I left! Interesting ! Will you be able to view pictures,text in portrait or landscape or both or is that painting things too richly? Ah Vincent there isn't anyone nearly as good as you. Is this phone just for arty types and does it come with its own easel? Who does Samsung hire to name their products? They don't seriously think "Gogh" is supposed to make this phone sell? Could you imagine the look on someone's face when you walk into Best Buy, why would anyone shop there in the first place when there's better places is a mystery, and tell them you want a Gogh? This looks pretty nice for Sprint. Samsung should bring a mini version of the Galaxy S3 to Verizon to compete with the Incredible 4G, though they should at least use qHD instead of WVGA. One thing I'm liking from newer Samsung phones; Notification lights!